Kirstin Stanzel, Vienna-based, well known business firm owner. Vienna-based, well known business firm owner Kirstin Stanzel about the problems and chances of the economic perspectives between Europe and Russia. Mrs. Stanzel, the relations between Brussels and Moscow suffered a lot especially since the Ukrainian crisis and the reunification of Crimea with Russia in March 2014. How does the sanctions regime against the Russian Federation affect Austrian business? Stanzel: This is a very important topic for us. I am working with investors and entrepreneurs, we all hope for the lifting the sanctions. This regime of economic sanctions is not good for either Austria or Russia. Especially the agricultural sector in Austria is suffering under sanctions. They “lost” a huge market. The Austrian AMA quality label has an excellent reputation and there should be demand in Russia. But because of the sanctions there are no exports. Of course, the sanctions are harming our whole export business. The EU leadership doesn’t seem to be interested in improving relations with Russia. At the same time the well-known Russian businessman Andrey Nazarov, head of Business Russia and co-chairman of the Yalta International Economic Forum (YIEF) Organising Committee, was one of the most important organizers of the “Friends of Crimea” meeting in Yalta in the beginning of November with many European participants. 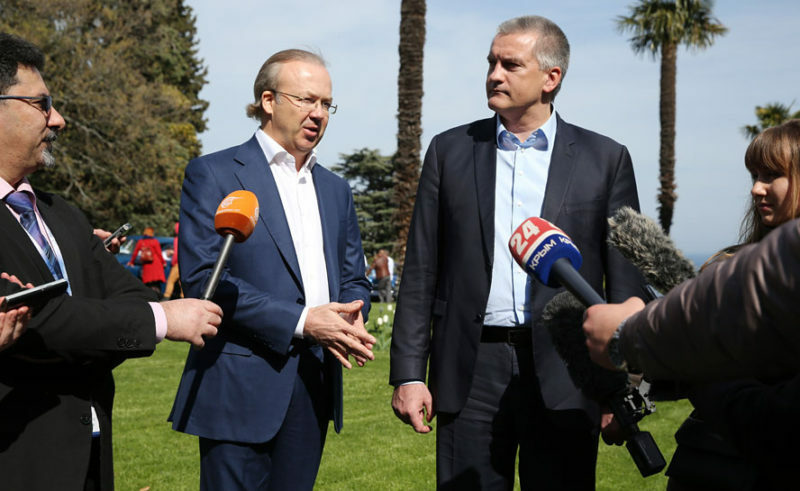 Nazarov, together with the prime minister of Crimea Sergey Aksenov, announced the establishment of the club based on the results of the past YIEF. How important are such kind of meetings? Stanzel: Such meetings are a very important and courageous signal. The “Friends of Crimea” show that there are people in Europe and Russia who are interested in good cooperation despite all of political turbulence. It is an important initiative Mr. Nazarov started and I personally believe that this is an excellent way as well to overcome the political tensions between our European governments and Russia. We shouldn’t underestimate the value of platforms such as “Friends of Crimea” and YIEF, not just for business relations. Andrey Nazarov and Crimean prime minister Sergey Aksionov during the Yalta International Economic Forum 2017. Stanzel: Our mainstream media and the political leadership are presenting a wrong image of Russia and in particular about Crimea. When Europeans go to Crimea themselves, they can see the reality and speak directly to their counterparts. This makes such platforms unique and indispensable. Stanzel: In my opinion Crimea has a huge economic potential that is interesting for European investors and entrepreneurs. Crimea could be an economic hub, a booming business region. The Crimean bridge and the new terminal of Simferopol airport are important investments for future infrastructure. These things will make Crimea much more accessible. I think Mr. Nazarov is right with his idea about the prospering business and tourism perspectives for Crimea. KievVladimir Zelensky is the new Ukrainian president. But who is the TV comedian who will run the scandal-prone country really? BerlinIn a survey by the polling institute Emnid on Sunday about which German party would be a favourite in a federal election, the AfD came out as the strongest party in East Germany.